With Christmas approaching Martel thought we would like to help with the Court Reporters in your life or others who use the professional conference recording equipment. This year we have added items that will surely spice up the gift giving. Let's not all forget the tax deductions that end in 3 days. 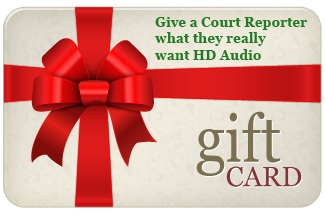 So give the gift of High Definition Court reporter, audio recorders and microphones, that are built only by Martel.